Someone you know could be experiencing a mental illness or crisis. You can help them. Become a certified in Mental Health First Aider! You are more likely to encounter someone — friend, family member, coworker, neighbor, or member of the community — in an emotional or mental crisis than someone having a heart attack. Mental Health First Aid teaches a 5-step action plan to offer initial help to people with the signs and symptoms of a mental illness or in a crisis, and connect them with the appropriate professional, peer, social, or self help care. Anyone can take the 8-hour Mental Health First Aid course — first responders, students, teachers, leaders of faith communities, human resources professionals, and caring citizens. Youth Mental Health First Aid reviews the unique factors and warning signs of mental health problems in adolescents age 12-18. It emphasizes the importance of early intervention and covers how to help an adolescent in crisis or experiencing a mental health challenge. The youth course is intended for anyone 18 years or older to learn how to help young people. SOMETIMES, THE BEST FIRST AID IS YOU. Take the course, save a life, strengthen your community. This is an 8-hour class and runs from 8:15 am to 5:00 pm. This class is $100 which includes catered lunch from Café Lark. 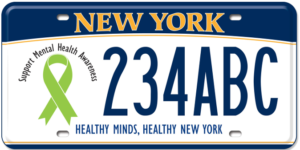 Mental Health Association in New York State, Inc.
in New York State, Inc.